As an avid reader of blogs, I knew one day that I would cave to the Diptyque craze and if you follow me on Twitter then you will be no stanger to my lust to own a Diptyque Roses candle. Every time I go into Space NK I give them a sniff, walk around holding one and then put it back on the shelf before purchasing, convincing myself that a candle isn't a necessity and £40 for a candle is ridiculous. As part of a house warming present to myself I thought I would take the plunge and even though initially the price made my eyes water a little bit, I soon began to realise what all the fuss was about. 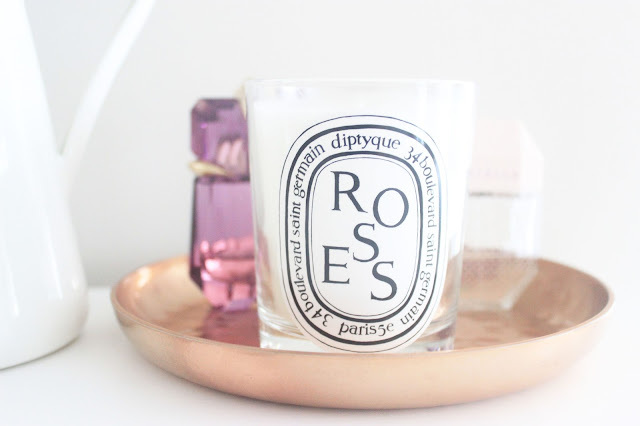 As a luxe buy, you would expect great things from a candle and this certainly doesn't disappoint. The dominating rose scent hits you when you not only walk through the door whilst it's burning, but it also lingers for hours after. The fresh and floral fragrance is perfect for the Summer, but I'm sure that I will be picking up a few of these throughout the year too. 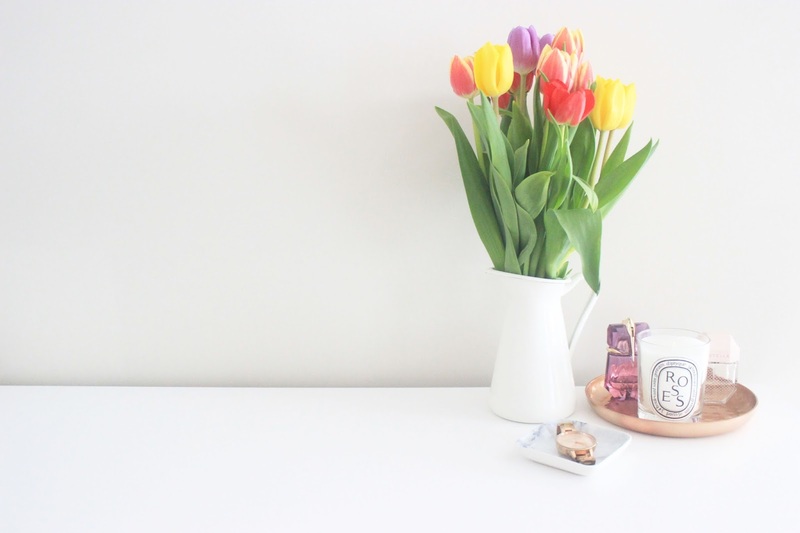 If you're planning on having a splurge or would you just like to know a little bit more about the care of candles then I would recommend that you read Tips for burning candles post in order to get the most use and wear out of your candle. Have you tried a Diptyque candle?